As a cultural center, The Plaza Cinema is devoted to providing educational programming for all ages. One of our core values is community enrichment, and as a result we have been offering a wide array of field trip opportunities for children and teens since our inception. Film and visual culture have become an important part of day-to-day life, evolving into a beneficial teaching tool in the classroom environment. We offer a wide variety of educational films tailored to the learning objectives for middle and high school students. Often times these movies can be accompanied by a guest speaker or an interactive lesson so that students receive an all encompassing and enriching experience during their trip. By coming to The Plaza students are able to experience the Arthouse Cinema environment and learn about how it differs from the multiplex cinema. Every field trip includes a short presentation on what we do as a not-for-profit, and how we enrich the community culture through film. Helping students think critically about other cultures through the moving image. Teaching students to understand the cinematic elements and rules of movies, including cinematography, editing, point of view, and genre. Learn to break down and analyze films through their plot structure, content, and character development. Use documentaries to teach students how to closely analyze historical or contemporary figures and events. Students get to experience documentaries that tackle real world issues focused on environmental preservation. 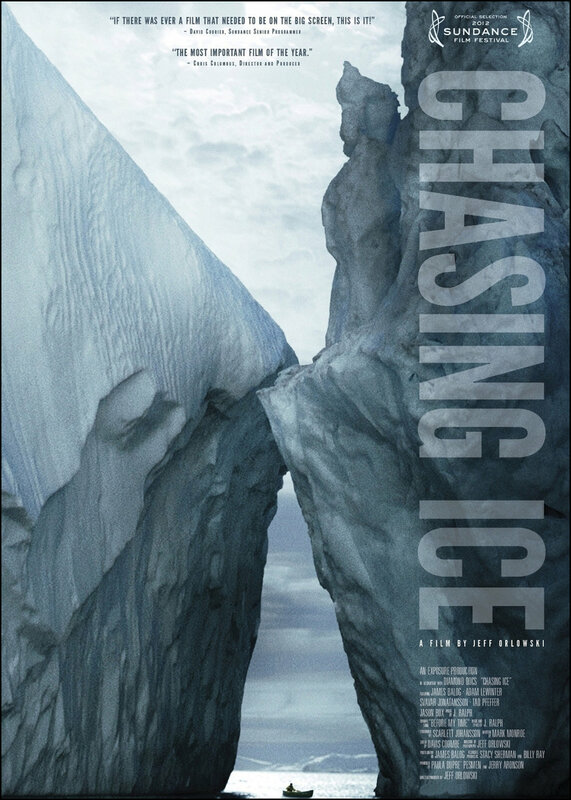 The screenings include guest lecturers from backgrounds in environmental conservation, activism, and scientists working in the field. Students will discuss their persaonal impact on the environment and ways that they can participate in positive environmental change on an individual level through recycling, growing plants, and other means. Worshipped and treasured since the dawn of humankind, few things on Earth are as miraculous and vital as seeds. 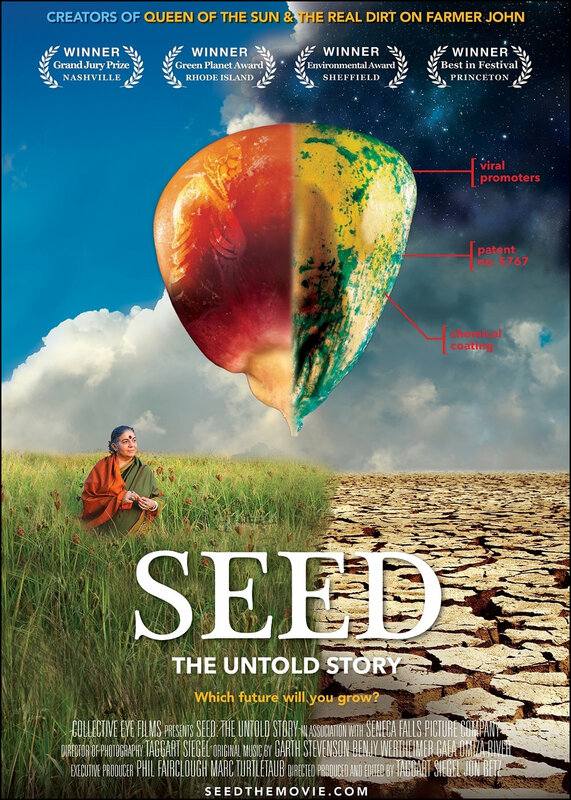 SEED: The Untold Story follows passionate seed keepers protecting our 12,000 year-old food legacy. In the last century, 94% of our seed varieties have disappeared. As biotech chemical companies control the majority of our seeds, farmers, scientists, lawyers, and indigenous seed keepers fight a David and Goliath battle to defend the future of our food. In a harrowing and heartening story, these reluctant heroes rekindle a lost connection to our most treasured resource and revive a culture connected to seeds. This new series is designed to offer students a glimpse into the lives and cultures of other kids similar in age. Students watch the film and then reflect and discuss in facilitated groups. After participating in a “think, pair, share” style activity, we return to a larger group setting and discuss the cultures that were represented in the film. 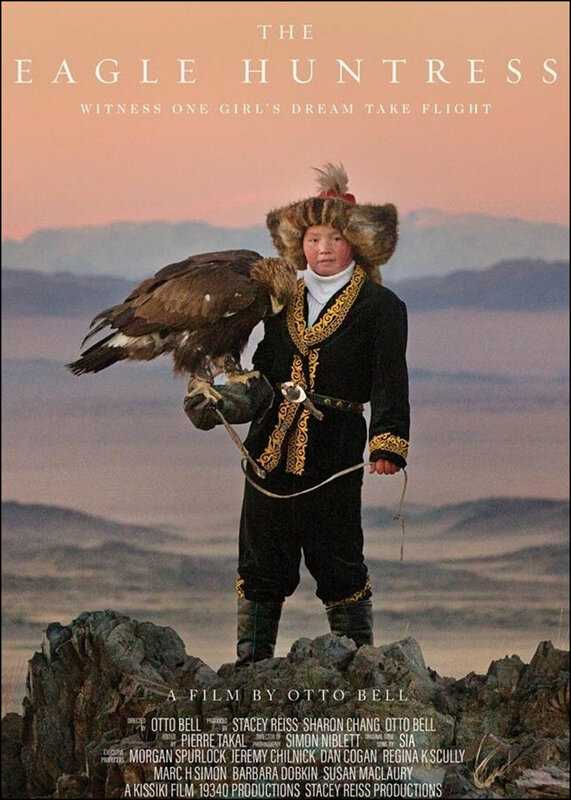 THE EAGLE HUNTRESS follows Aisholpan, a 13-year-old girl, as she trains to become the first female in twelve generations of her Kazakh family to become an eagle hunter, and rises to the pinnacle of a tradition that has been handed down from father to son for centuries. Set against the breath-taking expanse of the Mongolian steppe. Parvana is an 11-year-old girl who lives under Taliban rule in Afghanistan in 2001. After the wrongful arrest of her father, Parvana cuts off her hair and dresses like a boy to support her family. Working alongside a friend, she soon discovers a new world of freedom and danger. Drawing strength from the fantastical stories she invents, Parvana embarks on an epic quest to find her father and reunite her family. Sepideh Hooshyar, an Iranian teenager, dreams of becoming an astronaut, but cultural and economic factors make her goal difficult to achieve. The Plaza offers film in a variety of movies in target languages for LOTE classes. French, Spanish, and Italian films are available. For more information, and even more films to select from, click here. Anna is a bereft young German woman whose fiance, Frantz, was killed in the trenches of World War I. Adrien, a French veteran of the war, makes a mysterious appearance in her town, placing flowers on Frantz's grave. Adrien's presence is met with resistance by the small community still reeling from Germany's defeat, yet Anna gradually becomes closer to the handsome and melancholy young man, as she learns of his deep friendship with Frantz. Music director Favio Chavez guides the Recycled Orchestra of Cateura, a Paraguayan group that plays instruments made entirely out of garbage. Performing arts in cinema allows students to watch plays that have been recorded live and brought to the cinema for students to see. We offer a wide array of traditional and modern versions of plays that middle and high schoolers are reading in class. It teaches students about the creative process on stage, and offers a visual representation of what they have read. Academy Award nominee Benedict Cumberbatch (BBC’s Sherlock, The Imitation Game, Frankenstein at the National Theatre) takes on the title role of Shakespeare’s great tragedy. Directed by Lyndsey Turner (Posh, Chimerica) and produced by Sonia Friedman Productions, National Theatre brings this eagerly awaited production live to the cinema screen from its sold-out run at the Barbican. As a country arms itself for war, a family tears itself apart. Forced to avenge his father’s death, but paralyzed by the task ahead, Hamlet rages against the impossibility of his predicament, threatening both his sanity and the security of the state. Urgent concerns of scientific responsibility, parental neglect, cognitive development and the nature of good and evil are embedded within this thrilling and deeply disturbing classic gothic tale. Through these films and guest speaker pairings students will be able to learn about history while also discussing its impact on today's society. Students will be able to discuss how the struggle and contributions of African Americans in America have impacted our culture. Although the Civil Rights Act of 1964 legally desegregated the South, discrimination was still rampant in certain areas, making it very difficult for blacks to register to vote. In 1965, an Alabama city became the battleground in the fight for suffrage. Despite violent opposition, Dr. Martin Luther King Jr. (David Oyelowo) and his followers pressed forward on an epic march from Selma to Montgomery, and their efforts culminated in President Lyndon Johnson signing the Voting Rights Act of 1965. Of all the divisions in America, none is as insidious and tenacious as racism. In this powerful documentary, director Frances Causey investigates the roots of our current racial conflicts. Causey and Long Shadow producer Sally Holst, both daughters of the South, were raised with a romanticized vision of America’s past. Haunted by the truth of slavery's legacy in their own histories, they passionately seek the hidden truth and the untold stories that reveal how the sins of yesterday feed modern prejudice, which burns undiminished despite our seeming progress. These films about empowering women will inspire students and teachers alike. Paired with guest speakers, each film follows the true story of women who broke the mold and advanced through hard work and dedication. Jane Goodall, a young and untrained woman, challenges the male dominated scientific consensus of her time with her chimpanzee research and revolutionizes people's understanding of the natural world. These films are great for students in classes or clubs interested in journalism or debate. After the film screening a guest speaker will facilitate discussions about the press, media literacy, and how our understanding of journalism has evolved. Katharine Graham is the first female publisher of a major American newspaper -- The Washington Post. With help from editor Ben Bradlee, Graham races to catch up with The New York Times to expose a massive cover-up of government secrets that spans three decades and four U.S. presidents. Together, they must overcome their differences as they risk their careers -- and very freedom -- to help bring long-buried truths to light. In 2001, editor Marty Baron of The Boston Globe assigns a team of journalists to investigate allegations against John Geoghan, an unfrocked priest accused of molesting more than 80 boys. Led by editor Walter "Robby" Robinson (Michael Keaton), reporters Michael Rezendes (Mark Ruffalo), Matt Carroll and Sacha Pfeiffer interview victims and try to unseal sensitive documents. The reporters make it their mission to provide proof of a cover-up of sexual abuse within the Roman Catholic Church. These films celebrate the diverse nature of the sciences, including astronomy, forensics, and the life sciences. See the "Women's History" or "World Cinema" categories for more films dealing with the sciences. Bill Nye is a man on a mission: to stop the spread of anti-scientific thinking across the world. The former star of the popular kids' show "Bill Nye the Science Guy" is now advocating for the importance of science, research and discovery in public life. With intimate and exclusive access—as well as plenty of wonder and whimsy—this behind-the-scenes portrait of Nye follows him as he takes off his Science Guy lab coat and takes on those who deny climate change, evolution and a science-based worldview. The film features Bill Nye, Neil deGrasse Tyson, Ann Druyan and many others. The film is a PBS Distribution release. Four great astronomers celebrate their 50 years of friendship on a road trip through the Southwest. The Plaza offers a variety of field trips that are appropriate for grades 3-5 focusing on the fundamentals of storytelling and animation. In the past students have participated in interactive lessons where they watch animated films, learn about the fundamentals of animation and gain hands on experience creating their own stop motion films. In the remote Irish woods, Cellach (Brendan Gleeson) prepares a fortress for an impending attack by a Viking war party. Unbeknown to Cellach, his young nephew Brendan (Evan McGuire) -- who has no taste for battle -- works secretly as an apprentice in the scriptorium of the local monastery, learning the ancient art of calligraphy. As the Vikings approach, revered illuminator Aidan (Mick Lally) arrives at the monastery and recruits Brendan to complete a series of dangerous, magical tasks. This film is appropriate for ages 8 and up in elementary school field trips. The film comes as a part of an storytelling activity and lesson. An Irish youth (David Rawle) discovers that his mute sister is a selkie who must find her voice and free supernatural creatures from the spell of a Celtic goddess (Fionnula Flanagan). This film includes lessons on storytelling and animation. This film is appropriate for elementary schoolers learning Spanish. The screening includes English subtitles. Seven-year-old Natanaël still doesn't know how to read and he has been bequeathed his eccentric old aunt's book collection to the young boy. Nat soon discovers that the characters of the books are counting on him for protection - they mustn't leave the library. This film is appropriate for elementary school students. The screening includes lessons about the history of storytelling.